WE WILL NOT BE ACCEPTING DONATIONS OF BICYCLES AFTER DECEMBER 1, 2018 DUE TO SHOP RENOVATIONS. We will begin accepting donations again in April 2019 once renovations to the shop are complete. Please consider donating your bicycle to another non-profit, such as Newark Bike Project or Goodwill, or hold on to your donation until April when we will be very grateful to accept it. Have a bicycle that you no longer use or bike parts that you don’t need anymore? We accept donations of used bicycles (in any condition), parts and tools and can provide a receipt for tax purposes. When/Where Can I Donate Bicycles Or Parts? Donations can be dropped off during Open Shop hours Tuesday and Thursday nights from 6:30PM to 9:00PM and Saturday afternoons from 2:30PM to 5:00PM. Please bring bikes inside the building so that they get logged in and we can provide you with a receipt. If you have multiple bikes or need assistance see the greeter inside so that a volunteer can help. Can UBP Pick Up My Donation? We might but greatly prefer donations to be dropped off at our shop if at all possible. Email us to see if a volunteer is available to make a pickup. The following information is helpful: Name, phone number, address where bicycles are located, description and the number of bicycles (i.e. 2 kids bikes and 1 adult road bike in rideable condition). What Happens To My Donated Bicycle? Spread the word! 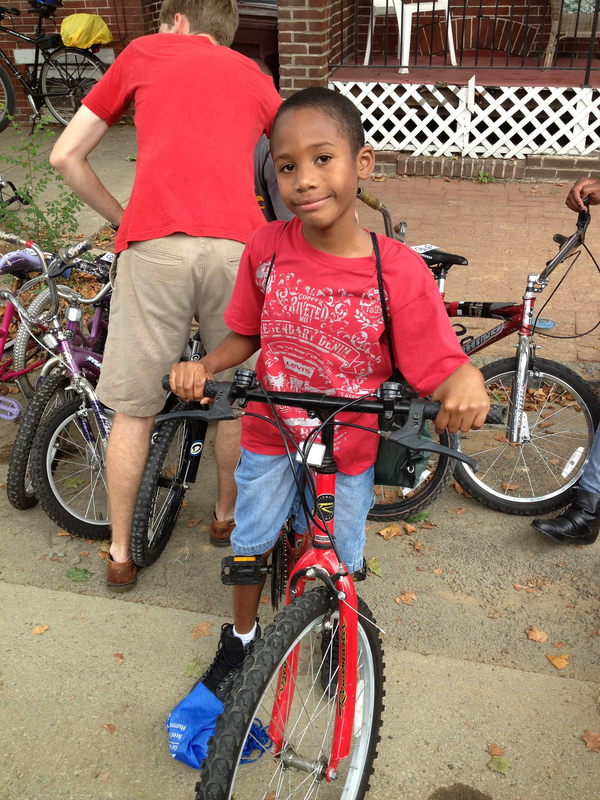 UBP is always looking for organizations to partner with, events, and people in need of bikes or bike repair help. 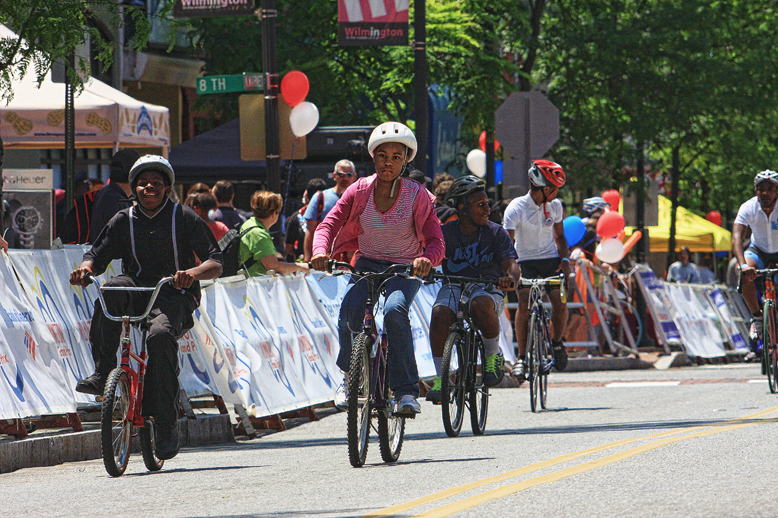 Donated and refurbished bicycles are used during the Wilmington Grand Prix kid’s race, 2012.